National Drone School Offers the Best UAV Flight Training Programs Available. We start with the basics on beginner UAVs move to Intermediate and finally the more advanced models. You will learn by watching video lessons from our trained instructors. Follow along in our workbook, and finish with our written online test, and receive your Certificate of Completion in UAV Online Flight Training. 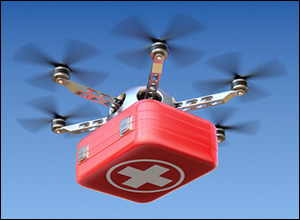 UAVs like the Internet are here to stay and will become a major part of our lives. Whether you’re a hobbyist, recreational enthusiast, or plan a future career in aviation, our UAV Online Flight Training Program is a valuable learning tool for you!! Checklists, General characteristics, Dimensions & weights, Motors Propellers, Electronic speed controls, Wireless links, Flight Battery, Flight Parameter Limitations, Emergency Procedures, Normal procedures, Performance Flight times & wireless transmission, handling, service and maintenance. Unmanned Aircraft Systems Pilot Training – The Wave of the Future? UAV pilots and sensor operators are in high demand as unmanned aerial vehicle technology and its applications continue to grow each day.UAV jobs for qualified pilots and sensor operators are expected to grow for the long term.Now’s your chance to get into this exciting field at the ground level. UAV pilot training is in its early stages, but expect to see more drone programs opening in the near future. According to a Teal Group report in early 2010, UAVs are the most dynamic growth sector of the world’s aerospace industry.The market study went on to say that the UAV industry will have expenditures of over $80 billion by 2020.According to the report, “UAVs are a key element in intelligence, surveillance, and reconnaissance”, and the U.S. will account for fully 76% of the world’s spending on UAV technology. 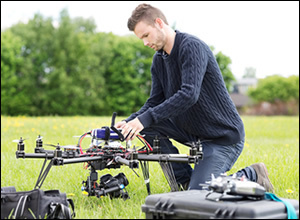 UAV Pilot and Sensor Operator Jobs. Hopefully you are convinced of the coming demand for people who know how to operate UAVs (Unmanned Aerial Vehicles).The only question now is how to cash in on the booming job market that’s expected to develop after more drones become legal to fly in U.S. airspace. This will almost certainly happen in the next 2-4 years.So where do you go right now to learn how to be a UAV drone operator? National Drone Training Online School.